We’re absolutely thrilled to share that a limited release of presale tickets for our favorite night of the year—HEAVY AND LIGHT—is now available! Join us Saturday, March 10, 2018 at House of Blues Orlando for an evening of songs, conversation, and hope. 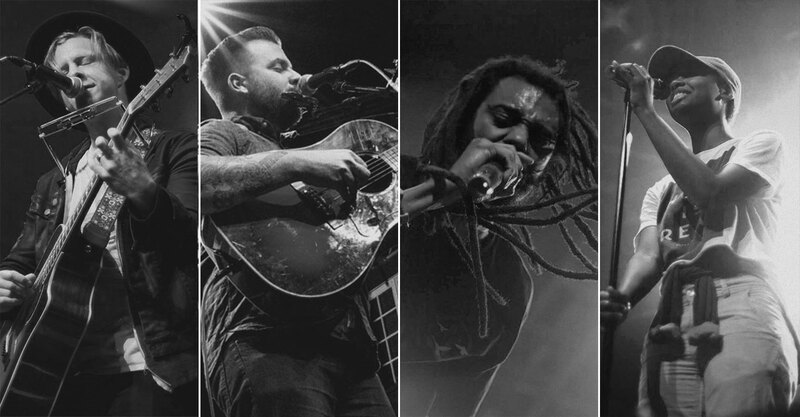 This year’s lineup will include the return of some of our incredibly talented friends, including Jon Foreman (of Switchfoot), Dustin Kensrue (of Thrice), hip hop artist Propaganda, and spoken word poet Tonya Ingram. Our Presale Bundle is available for purchase in the Online Store. 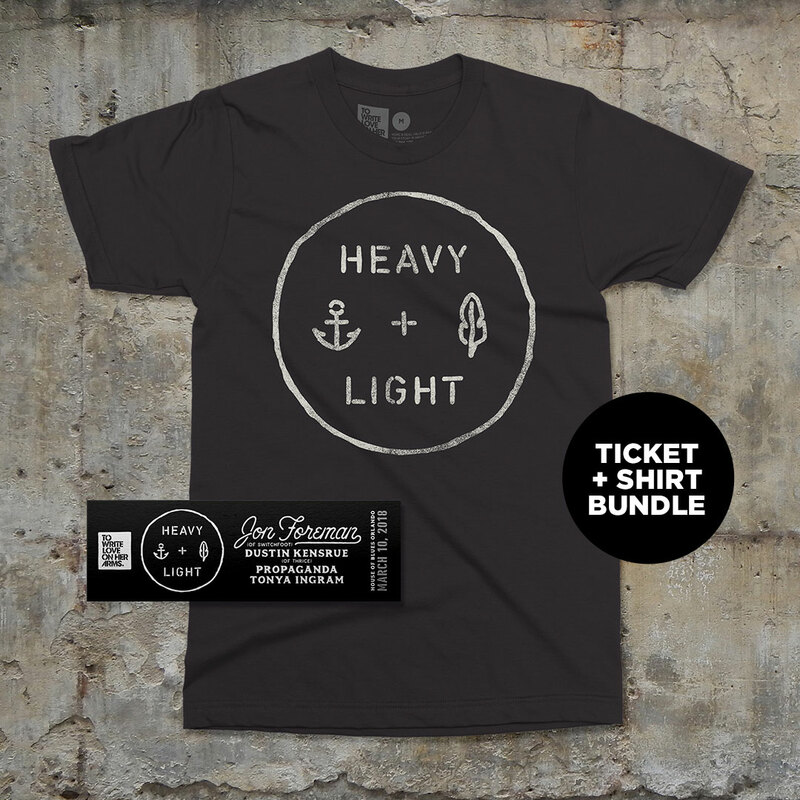 For $35, you’ll receive one general admission ticket and a limited edition HEAVY AND LIGHT 2018 shirt. And when you order a presale bundle, all service charges and ticket fees will be waived. Don’t forget to enter your shirt size and full name into the special instructions box at checkout! General sale will begin Thursday (February 1) at 10 AM EST via Ticketmaster and House of Blues Orlando. We can’t wait to spend Saturday, March 10 with you in Orlando. If you’re not familiar with our flagship event, you can learn more here.